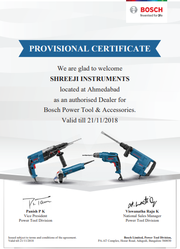 Widely known for manufacturing and supplying an extensive assortment of high quality Construction & Survey instruments, we, Shreeji Instruments, came into existence in the year 2009. The product array provided by us is inclusive of Cement & Concrete Testing Equipments, Safety Items and Surveying Instruments. Manufactured in tune with the set industry standards and guidelines, the offered array of testing and surveying equipment is highly appreciated for its sturdy construction and longer functional life. Further, we are offering these products in various specification, to suit the ever evolving demands of our clients efficiently. Moreover clients can avail premium quality Installation & Maintenance Services from us. Quality of the presented array of equipment is our utmost priority and it is maintained through various quality assurance procedures, at our infrastructure unit. To ensure the same, we manufacture our offered range of products employing advanced machines and tools. In addition to this, our complete transparency in all the business practices has enabled us in winning the faith and confidence of our valuable customers. 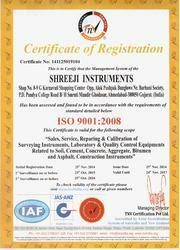 Under the supervision of our C.E.O, Yogesh Bhai Joshi, we have been able to attain a remarkable place in this domain. He with his vast experience and deep knowledge of his domain coupled with his tremendous management skills has enabled us in meeting to the precise demands of our valuable customers in the most effective manner. Being a quality-conscious firm, we are engaged in manufacturing and supplying a wide range of premium quality Construction & Survey instruments. These instruments are manufactured using high grade basic material and top notch technology at our hi-tech manufacturing unit. 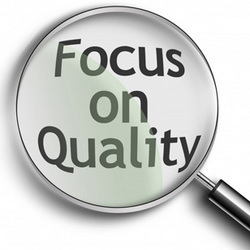 Further, our team of quality controllers carefully tests the entire range of various quality parameters to ensure its flawlessness. Our organization is assisted by a team of highly skilled professionals that enables us to be market leader’s in the industry. 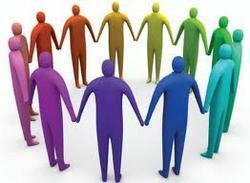 We have a team of experienced professionals, which is well versed in diverse domain. 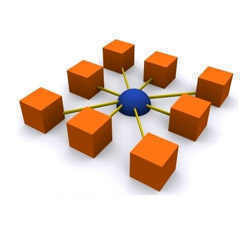 Our team enables us to accomplish assigned orders in a time bound manner for the offered array. 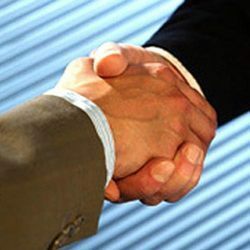 Further, our professionals work in tandem with our clients to offer quality products as per needs, on a budget. Being a client oriented organization, we strive hard and work according to the reckoning changes of the market for achieving 100% customer satisfaction. For this purpose, we procure our entire range of Construction Material Testing and Surveying Equipment from the certified vendors of the market. Apart from this, we provide our customers with several easy payment modes such as cash, cheque & DD for assuring their convenience. We also make a regular touch with the clients to understand their ever growing demands and requirements in a better way. Furthermore, our transparent business dealings, client centric approaches, competitive prices and timely delivery of consignments have enabled us to muster a huge customer base across the market. We are highly praised in the market for manufacturing and supplying an impeccable range of Construction & Survey instruments. Trusted by our clients, we are able to cater the bulk demands of the provided products. Also, we render offered maintenance and installation services keeping clients requirements in mind.